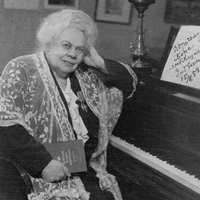 Elena Fabianovna Gnesina (May 18, 1874, Rostov-on-Don – June 4, 1967, Moscow) – Soviet pianist, teacher and composer. Honored Artist of the RSFSR (1935). One of the Gnesinykh sisters who founded the School of Music (now The Moscow City Children’s Music School, College and the Russian Academy of Music). This entry was posted in Etude, Gnesina, Elena Fabianovna, Piano and tagged educational material, Elena Gnesina, etude, Music score, Piano, Sheet music on 30.12.2016 by admin.